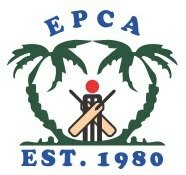 Eastern Arabia C.C. won their 5th match against Team SSQ CC. It was a match where the bowlers dominated. Eastern Arabia Restricted Team SSQ for 229 for 9 in 40 overs. Eastern Arabia started the innings with their two dynamic openers Surjith and Niyaz.. Surjith was dismissed early, NIyaz the Captain incharge played a sensible innings for his 30 (55). once again it was a great batting performance from Imarn Polali, who made 51(36).. Team SSQ fought back and with some quick wickets they made it look tough for Eastern Arabia, Muzahir khan 50* (43) the silent killer changed the game completely in favor of Eastern Arabia CC. EACC completed the chase in the 37th Over.